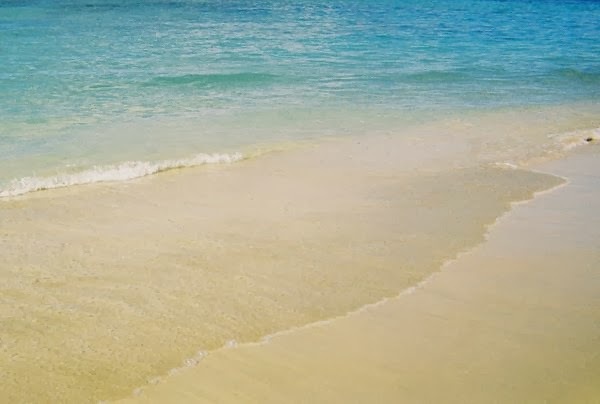 "Feeling grateful or appreciative of someone or something in your life actually attracts more of the things that you appreciate and value into your life." I think Christiane is on to something here. I'm most grateful for kids and grands and there seems a never-ending supply. Yippee! 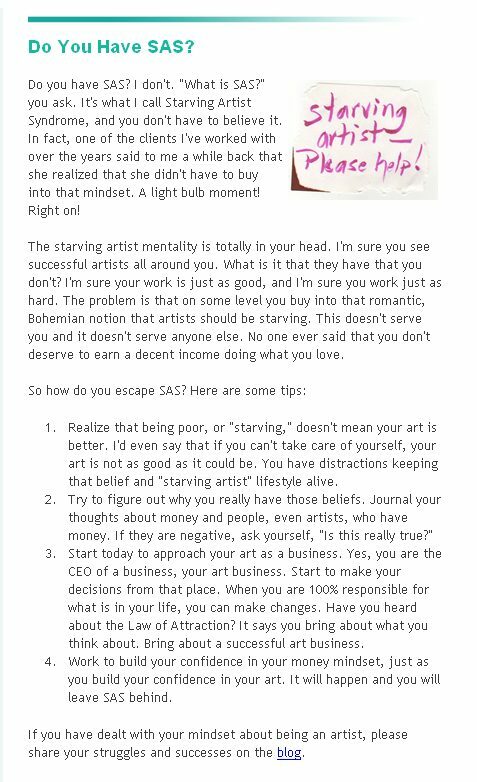 Do YOU Have Starving Artist Syndrome? I copied the following article (with permission, of course!) from an e-zine sent out by Morna McEver Golletz, founder and CEO of the International Association of Creative Arts Professionals (formerly the International Association of Professional Quilters). Morna McEver Golletz is the founder and CEO of the International Association of Professional Quilters, an association to help quilters, fiber artists and other creative arts entrepreneurs build business success. Her weekly e-zine offers tips, techniques and inspiration to help you craft business success from your creative arts passion. You can sign up for a F.R.E.E. subscription at http://www.professionalquilter.com. 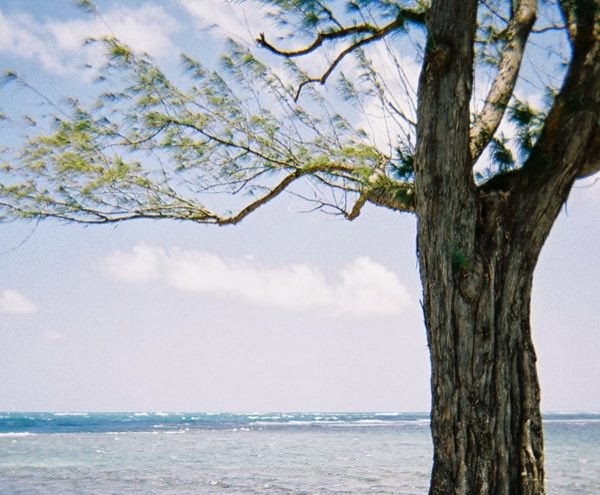 If you're an artist or crafter, are you being fairly compensated? As a quilt-making professional, I've struggled with pricing and specializing in custom memorial quilts doesn't make it easier! But my price-setting problems have nothing to do with beliefs about art or artists or money, and everything to do with compassion for those who have lost a loved one - although I need to be fairly compensated for my time, I want memorial quilts to be as affordable as possible for people in their time of grief. My answer in part is to freely share my expertise to help others make memorial quilts on their own, and I'm also publishing patterns so that even a sewing novice can create a custom memorial quilt. How about you? How do you price your art? Are you fairly compensating yourself for your time? Beings I create custom memorial quilts, I frequently talk to folks who have lost someone close - a parent, a spouse, a child. In an email a few days ago was a nugget of wisdom that I just had to share. We always assume we'll have another chance...and another...and another...but I'm reminded on a regular basis that time often runs out without warning. "Heal rifts if there are any, and hug your loved ones. Tell them you really love them and HOW they matter to you. It is important, and you may never get another chance." What have you left unsaid? Are there any relationships you need to mend? Do your loved ones know what they mean to you? What do you think? Is this clever or what? In case you don't know, it's a Rapid Washer laundry plunger. What's a laundry plunger? Well, it's a nifty tool to make washing your clothing by hand easier. Easier than what? Definitely easier than a scrub board! If you don't believe me, give each a try and see if I'm right. Anyway, we just posted this beauty (sans tp, of course) to my SIL's Etsy shop and needed a place to store it until it sells. 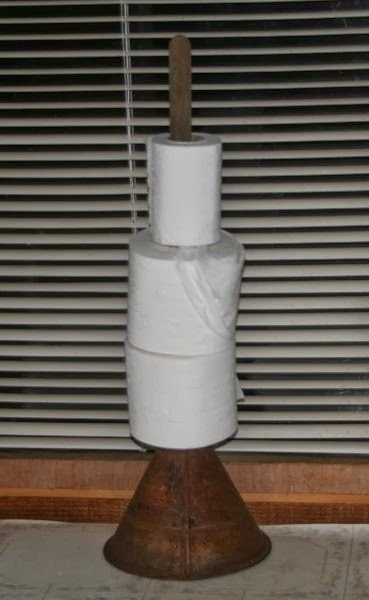 After seeing one holding toilet paper while researching antique laundry plungers, I decided to put this one to use. I do hope it sells soon, however, as it doesn't go with my upcoming beach cottage bathroom makeover. 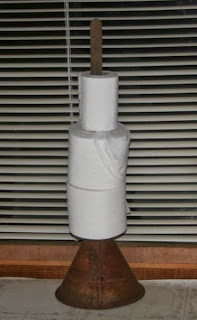 Why not use your toilet plunger to hold extra toilet paper? Even more clever than using a laundry plunger, don't you think? I mean, really, everyone needs to have a toilet plunger handy but you rarely need to use one. It's also nice to have extra toilet paper close by. Why not pair the two? I know - who wants their toilet paper touching their (potentially) nasty plunger? Nobody. But I have the answer. Without giving too much away, I'll just leave it at that and post about my solution at some future time. In the meantime, if you find you just can't live without a truly rusty crusty antique laundry plunger for your rustic, country, primitive, cabin or farmhouse decor, head on over to Rough and Rustic on Etsy and we'll be happy to send you this one! Want an antique 'Rapid Washer' of your very own? 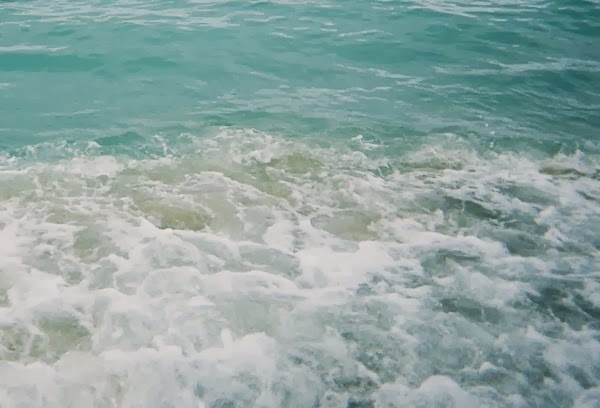 Don't you love the color of the water? Now I just need to get these printed out and hung up where I can enjoy them while we continue planning. "One day you will wake up and there wont be any more time to do the things you've always wanted. Do it now." What are YOU going to do while you still have time? 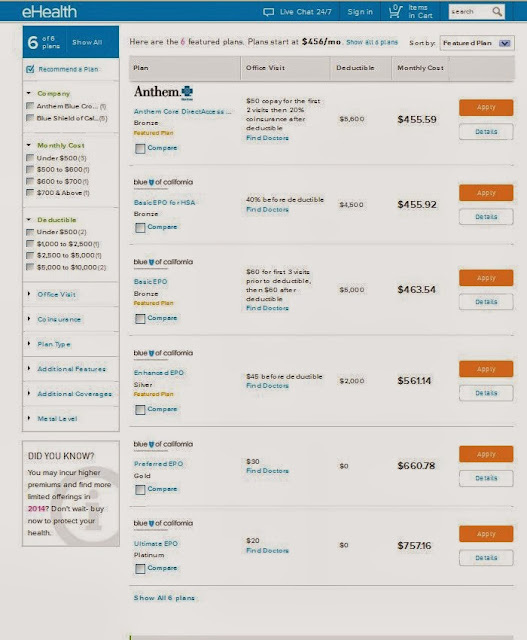 I just did some research and found that "affordable care" will actually cost me twice as much under ObamaCare. So...how is that "affordable"? In addition, not only is the cheapest plan available to me in 2014 more than double what I could have in 2013, I'll also have far fewer choices - from the current 27 down to only six! These screenshots from eHealth comparing my 2013 and 2014 choices tell the story better than I can. But won't I get a tax credit to help pay for my health insurance? At this exact point in time, NO. Why? Because I live in a Medicaid-expansion state and my income is below 138% of the federal poverty level, so I DON'T HAVE A CHOICE - in my current situation, if I want to avoid Medicaid, I can either buy health insurance privately or pay the penalty for being uninsured. The lowest-priced plan available for me in 2014 is $456/month, which comes to $5472 per year, which is a hefty chunk of change for a couple with an income of less than $20,000. If I refuse to play and choose to pay instead, my penalty for 2014 will be about $200. Hmm. Nearly $5,500 or $200 - sure doesn't take a financial genius to figure this one out! Let me be clear - I am not currently eligible for premium assistance because I qualify for Medicaid. Well, that's great! It's free health care, right? NOT! I will not be forced onto Medicaid for one very good reason that you can read about in a previous post. So...what to do? Well, fortunately I don't have to decide today. In fact, this first year only, I have until the end of March to figure it out. And I do have a few ideas, which I'll share as they unfold. 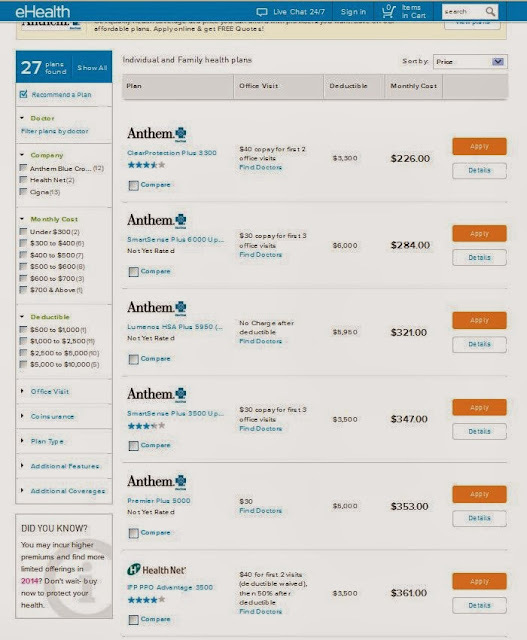 Have you figured out how YOU will fare under ObamaCare?